Advantages: Good detail; excellent moulding; includes two kits; versatile usage as a standalone scene or in a diorama / vignette; good value. 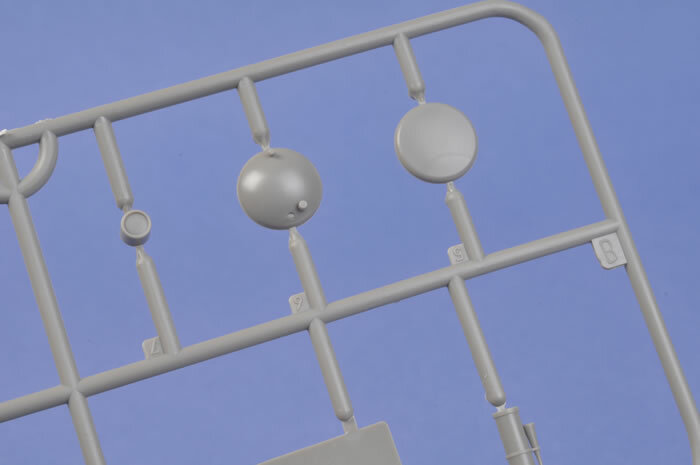 Recommendation: A nice addition to the Skunkmodels Workshop range of carrier deck equipment that is just begging to be added to a diorama base displaying a modern U.S. Naval aircraft. 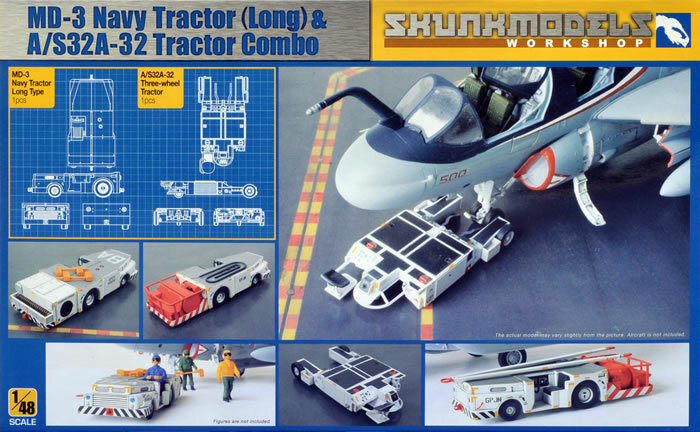 Skunkmodels Workshop continues their coverage of the U.S. Navy’s ground equipment in 1/48 scale with two new aircraft tractor kits. The subject of this review is their 48005 release which contains two different kits in the one box. 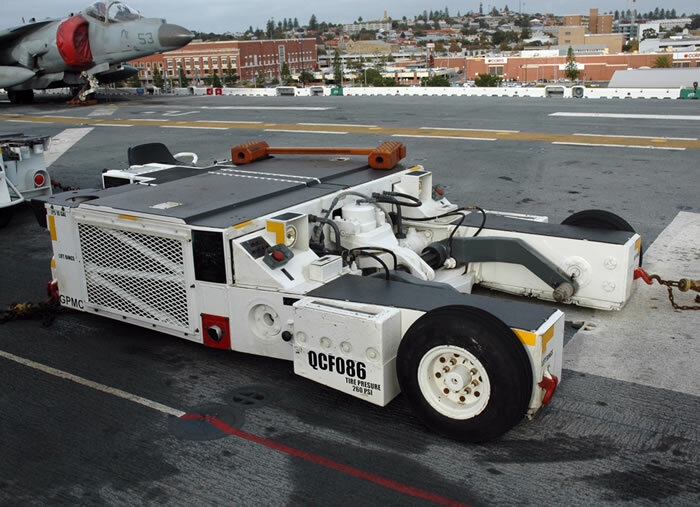 First up is the “long tail” version of MD-3 – the A/S32A-31A Aircraft Towing Tractor. 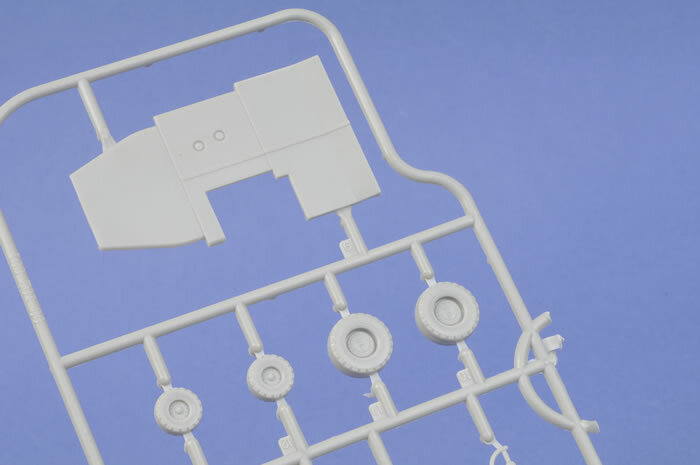 You get the same two sprues for the tractor itself that Skunmodels supply in their 48003 kit. 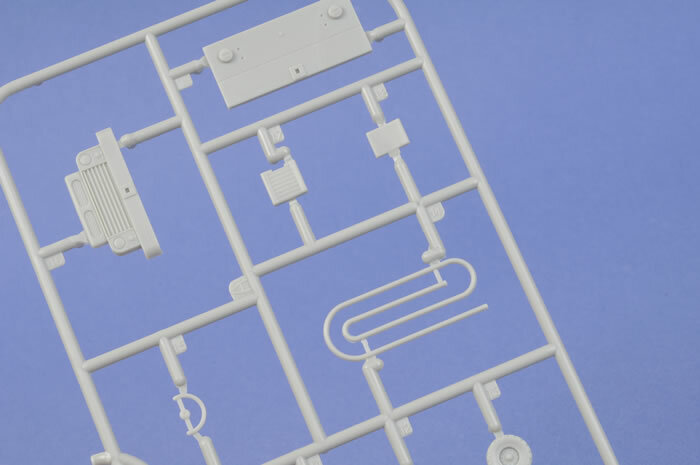 These sprues contain the parts for a single tractor as well as an adjustable length towbar (ALBAR Universal Aircraft Towbar), a single NWC-4 Shipboard Aircraft Wheel Chock, as well as a representation of a “snaked” refuelling hose. 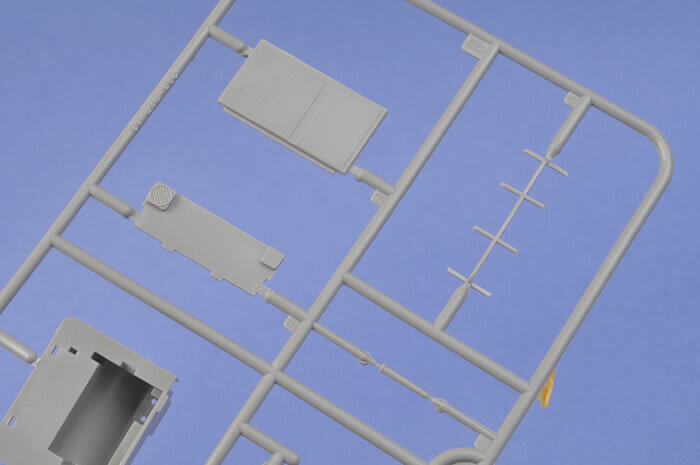 You also get two further sprues to turn your “short tail”MD-3 into two different versions of a “long tail MD-3. 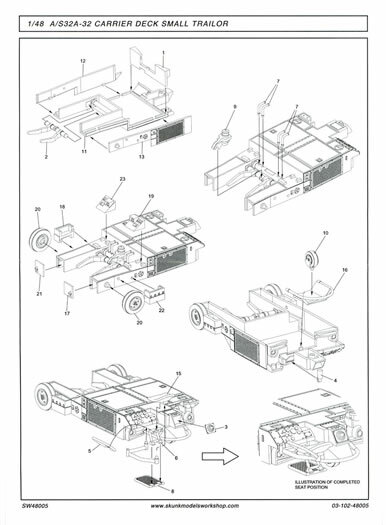 A/S47-A1 GTE (GTCP-100) Tractor Mounted Enclosure. 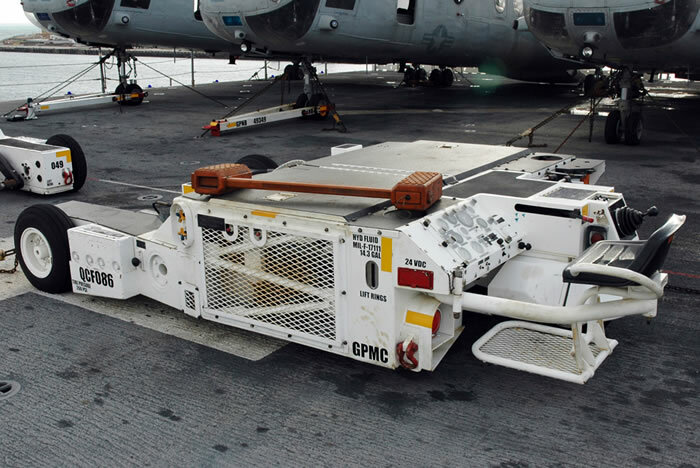 In real life, this enclosure was mounted on the back end of the A/S32A-31A and provided handling crews with a portable aircraft gas turbine engine starting unit. There is also a stowage rack located on the back of the enclosure assembly itself and this rack provided stowage space for the air duct hose. 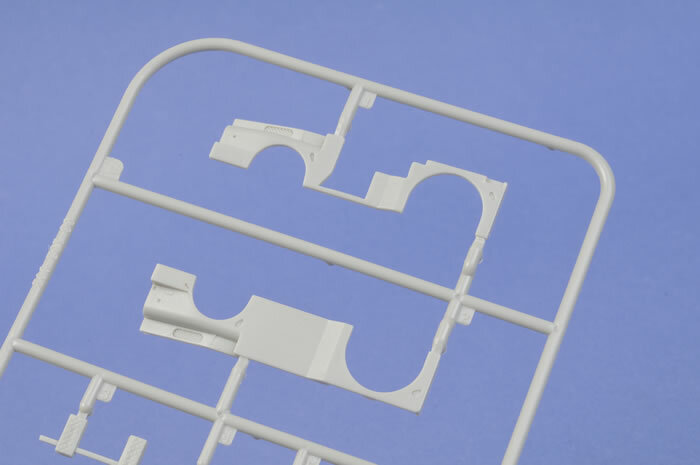 The 1/48 scale version is made up of just six pieces and a folded in half air hose to put into your stowage rack. The detail exhibited on the parts is more than acceptable with the matrix of the turbine grills being deep enough to accept a wash. 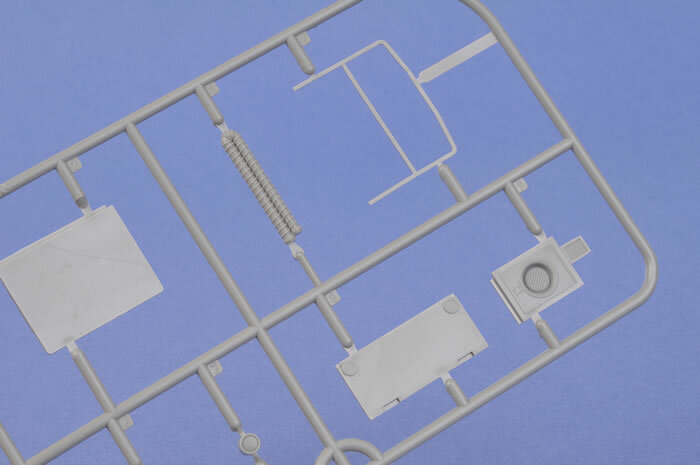 The grill work of the stowage rack should be open mesh yet to be fair on Skunkmodels trying to reproduce this in injected plastic to1/48 scale would be problematical. 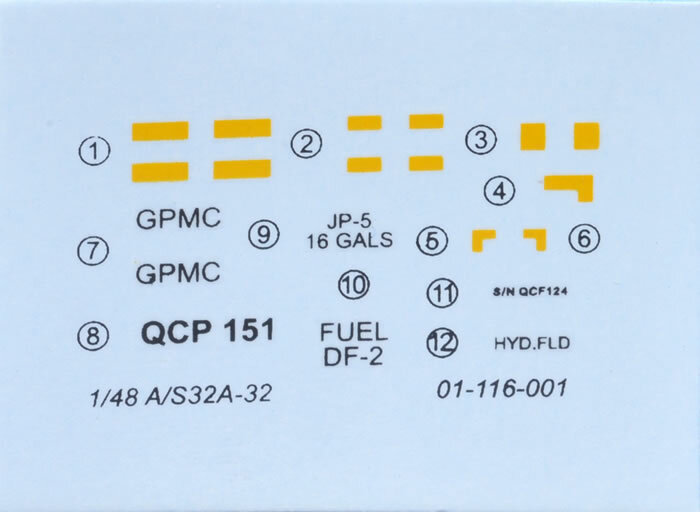 A minor nitpick is that the decal provided for the tractor’s control panel only has a passing resemblance to the real thing. A note for those who want to park the kit on a diorama with contemporary U.S. Navy aircraft, from what I could dig up by way of reference, the kit parts depict a circa 2003 and earlier “huffer”. 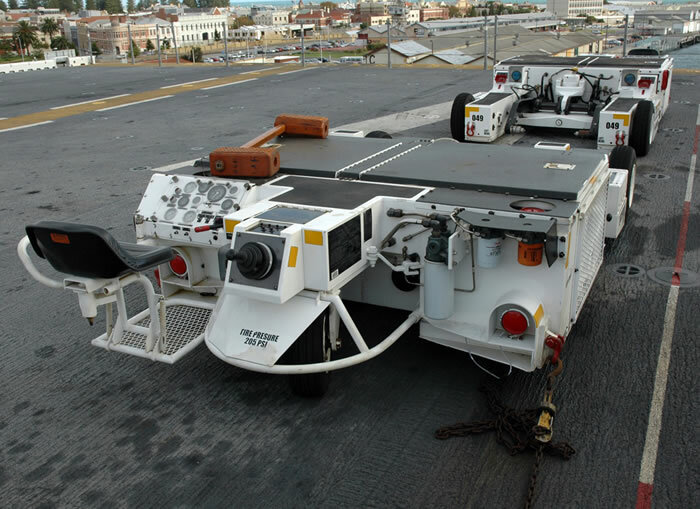 Modern day “huffers” are configured differently from what is provided in the kit. Fire Fighting Unit. I have to confess that I could not find a skerrick of information, written or photographic on this option despite some three hours of searching on the internet so I can’t advise on the kit’s accuracy or otherwise! 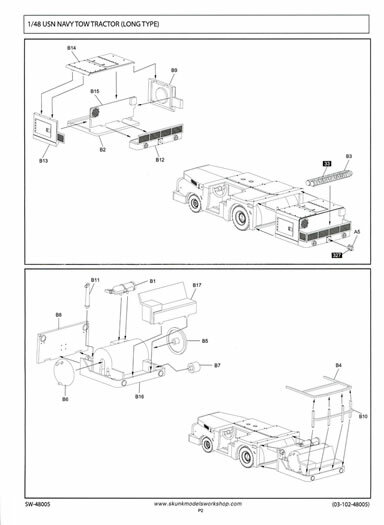 The option consists of ten parts in all and depicts the portable fire fighting equipped module that was attached to the rear end of the MD-3. The other tractor in the box is an A/S32A-32 Aircraft Towing Tractor. 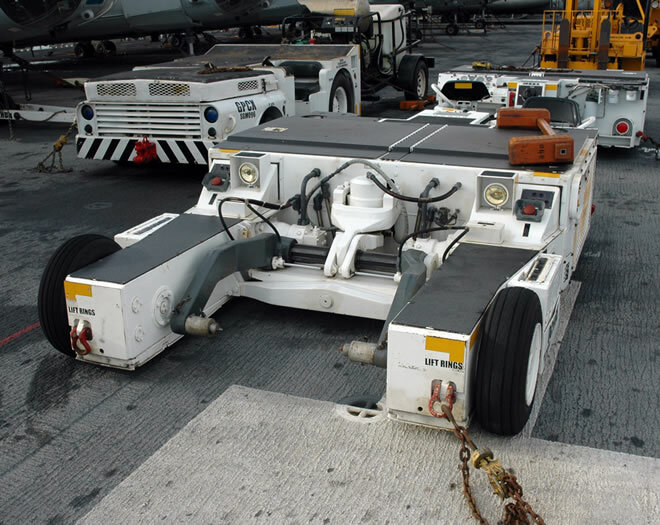 The A/S 32A-32 is more commonly referred to as a spotting dolly and it spends its days mainly in the carrier’s hangar deck spaces and on its deck lifts as it is far more manoeuvrable than the bigger MD-3. The A/S32A-32 is a three-wheeled vehicle; two of the wheels are driven, with the third being an independent castor. The tractor requires no turning radius and can approach an aircraft head on, pick up the aircraft’s nose wheel, spin on its own axis, and then tow the aircraft out at any angle to the aircraft's original line of direction. It can turn an aircraft through 360 degrees while the centre of the landing gears remains stationary. Very handy indeed in the crowded spaces of a hangar deck. 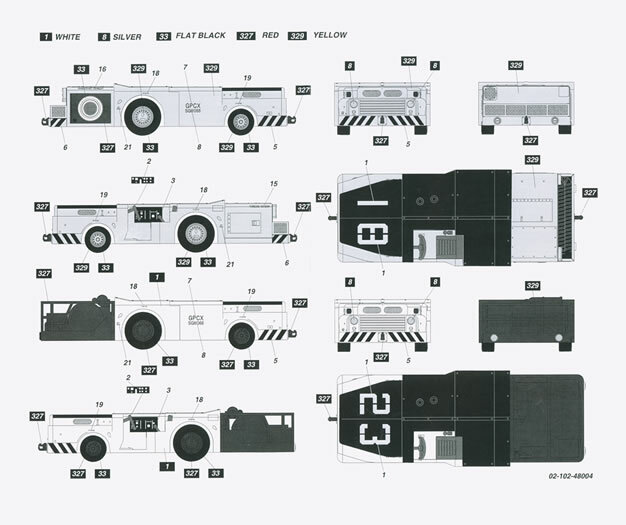 The A/S 32A-32 comprises 27 pieces in all. All parts are flash free and exhibit sharp, restrained detail and will make up into first rate replica of the real thing with careful construction painting and weathering and a glance at any colour image of these machines shows that they are very weathered indeed. 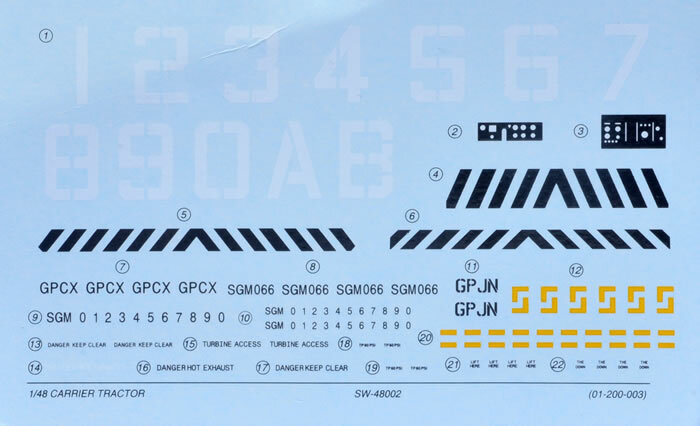 The kit comes with two decal sheets, a large one for the MD-3 options (the same sheet that was provided in their 48003 release) and a smaller one for the A/S 32A-32. The decals look to be thin and exhibit a minimum of carrier film around the individual subjects. 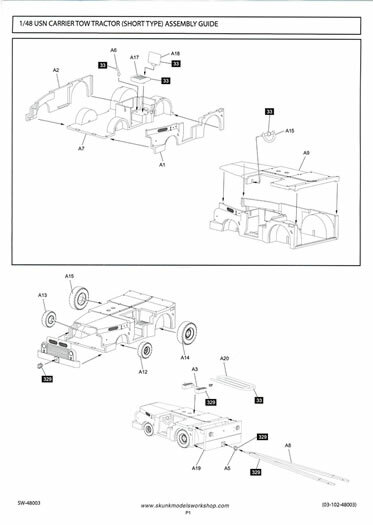 Assembly instructions for both kits are of the simple exploded view pictorial drawing type. The painting instructions are a little better as they offer five-view illustrations of each option with keys to the Gunze Sangyo range of paints. The painting guide also acts as a decal placement guide. Nice stuff from Skunkmodel Workshop. 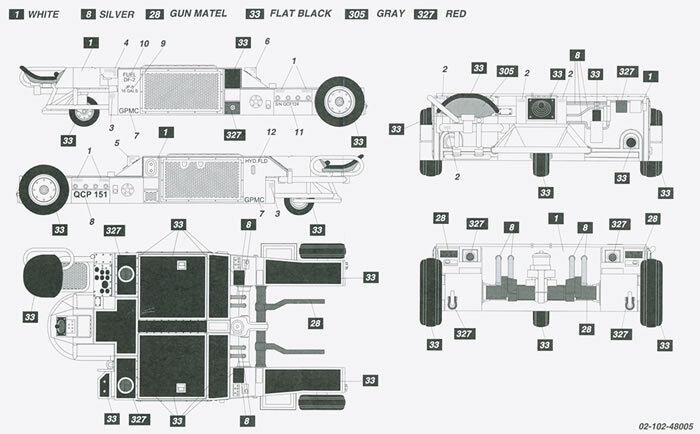 Let’s hope that they update the “huffer” unit to the newer configuration to give us further options. I have included some reference images of the A/S 32A-32 with this review. They were taken aboard the USS Boxer on a cold July afternoon in 2007. These are included in the Thumbnail Gallery up the page. You are on your own with reference images for the “long tail” MD-3s!